Rabies is a deadly disease caused by a virus. the rabies virus is found in the saliva, brain and spinal cord of an animal infected with rabies. 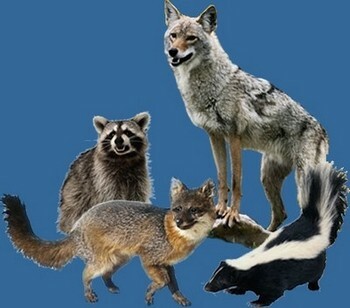 Rabies is most often seen in wild animals such as raccoons, bats, skunks and foxes. Cats, dogs, ferrets and livestock can also get rabies if not vaccinated to protect them. You can get rabies if a rabid animal bites you or if its saliva gets into an open cut or into your eyes, nose or mouth. 1. Don't feed or touch wild animals, stray dogs or stray cats. 2. Be sure your dog, cat or ferret has up-to-date rabies vaccinations. pets too young to be vaccinated should be kept indoors. 3. Don't try to separate fighting animals. put gloves on before touching your pet if it has been in a fight. 4. Don't attract animals to your yard. feed pets inside, don't leave them outside alone and don't let them run free. 5. A rabid animal may be unusually mean or friendly. stay away from any animal that seems dazed or paralyzed. 6. Never touch a bat. if you see a bat indoors, tell an adult to call your local animal control officer or board of health. 7. If you are bitten or scratched by any animal, tell an adult and wash the wound immediately. Tell an adult to call your doctor and your local board of health or animal control officer immediately.